We are stoked to introduce you to our new Warrior Mat, the perfect yoga mat for men. Here are 5 reasons why it's so awesome; #1: It is made out of 100% Natural Rubber and Eco-Friendly Polyurethane, so it meets our Pro-Planet seal of approval. #2: It is 4.5mm thick and measures 184 x 68 cm so is a slightly bigger and thicker than your standard women's yoga mat. #3: It has clever lines to help you with your alignment. #4: It has a fantastic grip even when you sweat a lot so you will be able to hold your poses with ease. #5: It's naturally Anti-Bacterial. It also comes with a holding strap. "The Warrior Mat is really big! I can finally fit on my mat! I used to always be touching the floor during my flow or even in Shavasana, now I don’t. Not only that but it’s grippy and has a perfect amount of cushion. I just love it!" 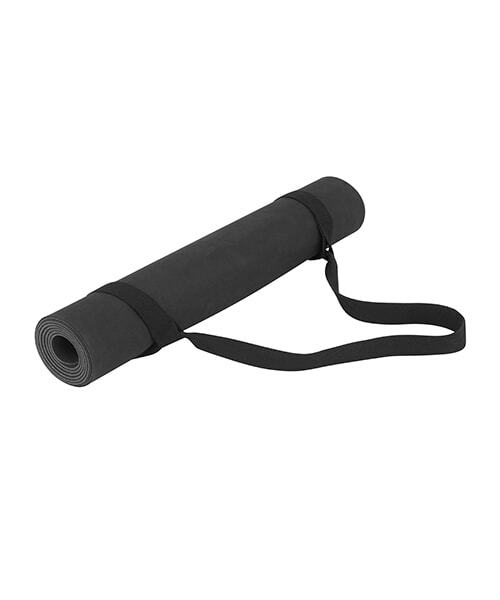 "This yoga mat is by far the best yoga mat I've ever used!! For starters it's sustainable to our planet, which should be a huge priority for anyone who calls themselves a yogi. 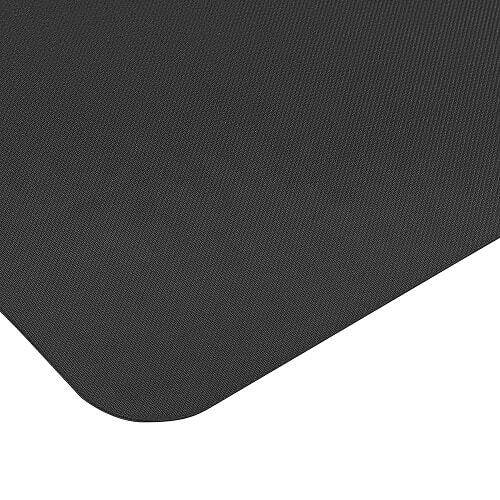 The mat works wonders with it's soft padding, yet not so soft that you lose your balance. It's also perfectly grippy, even when you start to sweat loads. 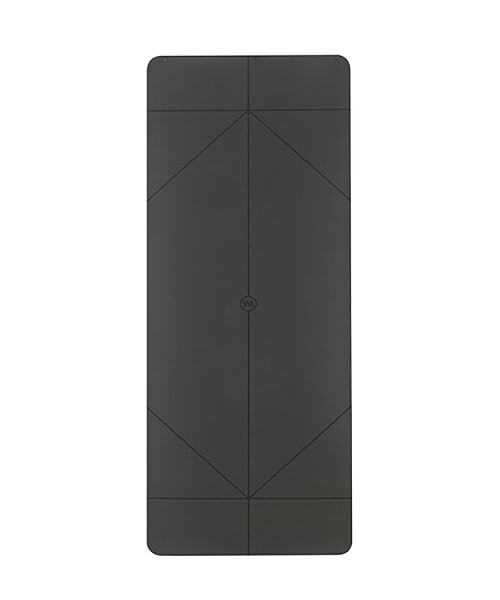 It also has simple lines which help so much with alignment." "This is seriously the best yoga mat I’ve ever practiced on. The grip is excellent. No more slipping for me! And the printed lines are really handy for alignment"
"Absolutely love this mat! It’s a little bigger than the industry standard size which is great for those with a taller and bigger frame. 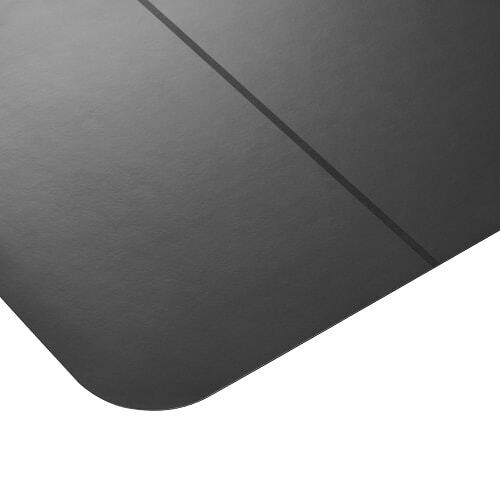 The surface is smooth but grips excellently from dry and when sweaty. It’s also the perfect thickness for comfort while at the same time being light enough to travel with… And the travel strap it comes with means I can carry it around without having to use one of the usual multicoloured yoga mat bags!" "I’m really picky when it comes to the yoga mats I choose to use. They need to have next level performance since I spend so much of my time on them practicing and teaching. The Warrior Mat has met my expectations and then even soared beyond! While I’m moving and sweating all over the mat, I rest assured that it’s made from eco-friendly rubber that won’t harm my body. When moving through arm balances and handstands, the mat has the perfect amount of grip to allow me to nail these poses. If you’re beginning yoga or even have an advanced practice, the alignment lines are really useful to make sure you’re moving in the optimal way for your body. I’m super grateful to Warrior Addict for creating this mat!" "This is one very cool mat! I love the simple, minimal look - nothing distracting - it's just you and your practice. 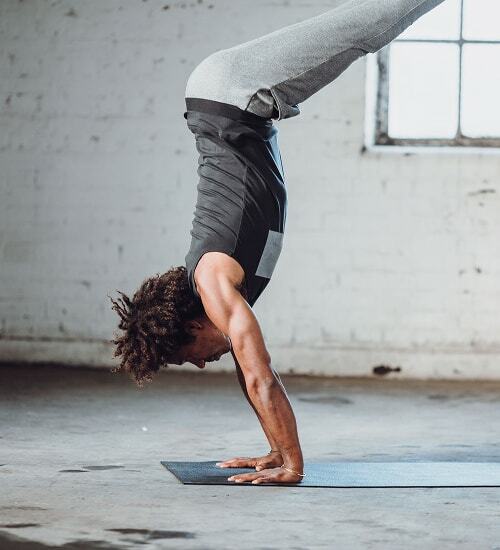 Despite being thin and lightweight it’s amazingly supportive and cushioned, even in headstand. My hands and feet did not slip once, even when sweaty, and it dried quickly after. Hands down, this is my favourite mat I’ve ever owned (and I’ve had quite a few over the years!)."